Each month or two, we will put together a digital newsletter for you to download or you can join our email list to get it first. 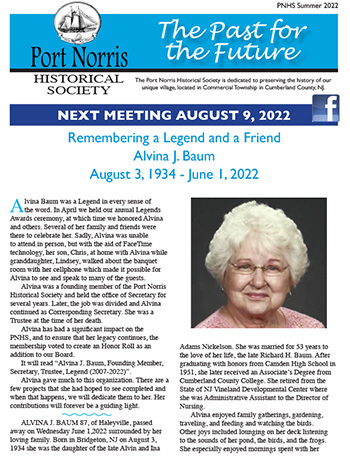 The newsletter will highlight happenings and fun facts. We are always interested in your stories and comments, if you would like to share with everyone. 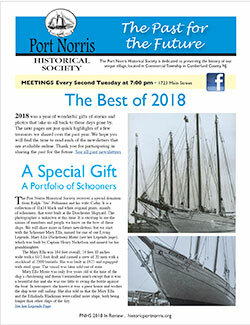 Just click to download the PDF file newsletter to view on your desktop. All links are active if you view it on your computer. Do you know how many churches are in Port Norris? Read More of Norris questions to date. 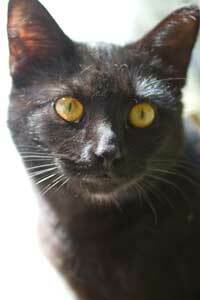 Norris is a young male cat from the marshes of Bayshore. He was smart enough to have avoided the terrors of osprey and eagles in the area by hiding under the docks and train car at the Bayshore Center. He also found nice people with food. On Heritage Day, he hid much of the day to avoid the crowd. As soon as everyone left, he came looking for food. He found the food in a cat carrier and and a loving owner to take him to his forever home. Of course his name needed to be purr..fect. All the way home that day I thought of names. I knew then that if the kitty was a male, his name would be Norris. So here he is, meet Norris. Answer is Six Churches. See more on the Churches of Port Norris.